We’re all so used to our trains being delayed that normally when the ‘explanation’ is announced we automatically switch off. But on one train journey in southern England it wasn’t the usual minute variation in temperature, wrong sort of rain, or the train being in a bad mood that caused the delay. 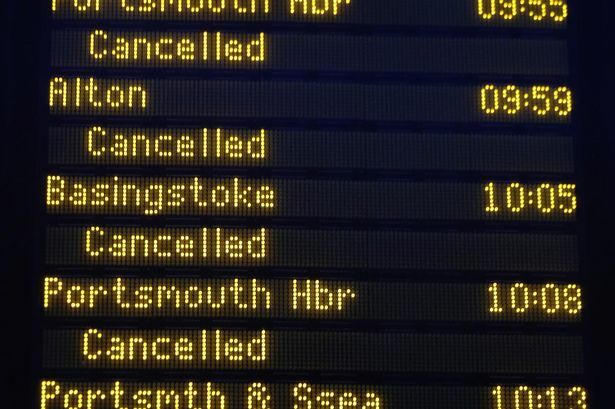 A South West Trains service running between Bournemouth, Dorset, and London Waterloo halted near Southampton Airport after ‘individuals’ threw rocks at the train, smashing a window, reports the Huffington Post. And, understandably, the guy announcing the delay didn’t hold back, brilliantly labelling the culprits ‘a couple of dickheads’. We are running 10 minutes late ladies and gents. This is all down to, if you will forgive my profanity, a couple of dickheads throwing rocks at the train. The service is running 10 minutes late. This is due to the train coming under attack at Southampton Airport. Some pond life down there with the intellectual capacity of a flip-flop threw rocks at the train. And when the train, now 11 minutes late, reached its destination, London Waterloo, he had another pop at the stone lobbing morons. We are 11 minutes late due to the incident at Southampton Airport – where these muppets attacked the train. Funny as his response was, let’s hope the pricks throwing rocks at trains are caught and dealt with.